The engineers at BDS Suspension are constantly striving to develop new and innovative suspension products and accessories for popular truck and Jeep applications. Whether its 4-link long arm systems for better handling and performance, multi-stage leaf springs able to provide a smooth ride and increase tow capacity, or FOX DSC coilover upgrades for popular BDS lift systems, BDS continues to push the envelope building high quality, American made suspension options. Along with new product development the engineers look for opportunities to improve on current designs to improve fitment, ease installation, or further strengthen the overall design. 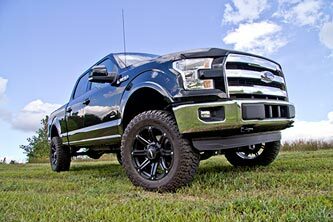 The latest kit update is a new bolt-in differential support bracket now shipping in all 2015 Ford F150 4″ and 6″ Lift Kits. This new gusseted support bracket has all the strength of the former weld-in support plate, now in an easy to install bolt-in design to speed up installation and eliminate the need for any welding during installation. The bracket mounts between the rear control arm crossmember and driver’s side differential relocation bracket adding extra rigidity to the system. The rest of the kits remain the same with high clearance laser cut crossmember, CNC machined ductile iron steering knuckles, multipoint differential relocation and skid plate, billet aluminum driveshaft spacer and more. 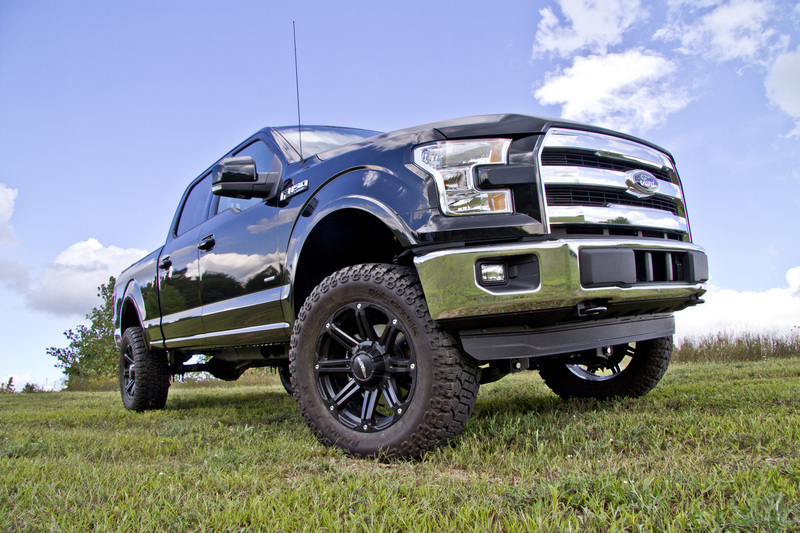 Check out the individual kits now offered for the 2015 Ford F150 4WD on the BDS Suspension website or by calling (517) 279-2135.